Textile products are crafted analyzing numerous internal and external factors bound to the end products. Before, during, and after designing a product, a series of factors such as the market trends, market research, quality testing, trials, design patterns, etc. to be arranged or considered by the designer. Here we discuss a few of them. Textile products are made for a very wide variety of purposes, for clothing, accessories, and furnishing and also for use in industrial, medical, architectural, landscaping and transport contexts. What guides the designer’s thinking is the function that the textile product will need to perform, who it will be used by and how to make it stand out from similar existing products. The new product design must meet the client’s specifications and be attractive enough to appeal to those making planned purchases or impulse buys. Understanding what is required will focus the design ideas. Designers need to know what consumers will want to buy in the future. This will ensure that the products that they are designing now ill sell when they have been manufactured. To help them keep up to date with the next new ideas, they will attend trade fairs or look at fashion forecast websites to collect information about future fashion trends. New concepts or influences that will affect consumer preferences in the future are presented on a range of storyboards that link to different target market lifestyles and consumer group identities or style images. At the trade shows, manufacturers present their new developments in fibres, fabrics and finishes, which they hope will inspire designers to incorporate their latest range of materials in the products that they are designing. Companies selling fabrics will be keen to promote sales by offering fabric swatches and specifications for the designers’ reference. Colour charts group exciting new colour combinations in easy to refer to colour palettes, to inform designers of the fashionable shades for future seasons. These colour predictions have been researched by forecasters to help yearn producers work months ahead of the garment designers, and to develop fashion colour range into fabrics. In addition to the use of fashion forecasts, modern technology has enabled a much more rapid response by designers to changes in fashion. 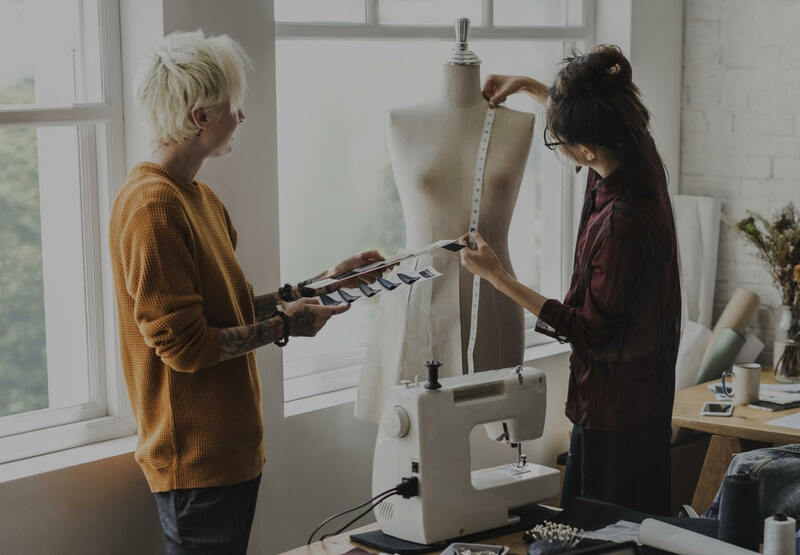 Shop floor sales data and fashion influences from the media, such as what the latest celebrities are wearing, are directly determining product development. To some extent, the traditional seasonal patterns of spring/summer and autumn/winter fashion collections have been overtaken by a more flexible approach to product range development. Smaller midseason additions to stock respond to the consumer drive for fast fashion. An individual designer or design team will work on a project that will lead to the development of a particular product or product range. The client will explain what is needed by setting a design brief. The brief will provide a starting point so that the designer can consider what will need to be researched in order to collect together information to guide design thinking. This early stage in the design process is known as task analysis. Once the brief has been understood and a plan of action noted, specific research can start. The designer will need to research the theme and find out about relevant existing products. They will also need to consider the preferences of the target market and the purpose of the product to be designed. Appropriate textile materials, techniques and processes will need investigating and client requirements for cost, quality, company logos, health and safety, and issues such as sustainability may need to be taken into account. During research, the designer will collect a wide variety of pictures and samples based on the theme. The material needs to be displayed on a single sheet to convey the essential ideas about colours, patterns, shapes and textures to inspire the design ideas. The most effective mood boards will clearly summarise the theme with a limited selection of inspirational and informative items. Mood boards can be compiled using a computer for speed and ease of communication with the client.